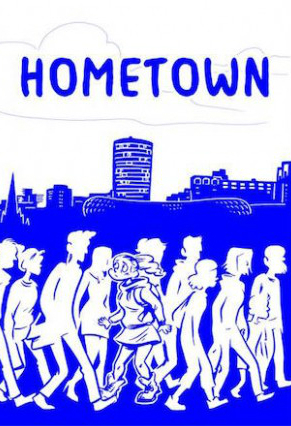 Hometown: An Anthology is a project that embraces the notion of comics and community on more than one level. Thematically it’s an exploration of our home environments, what they mean to us and how we interact with them. 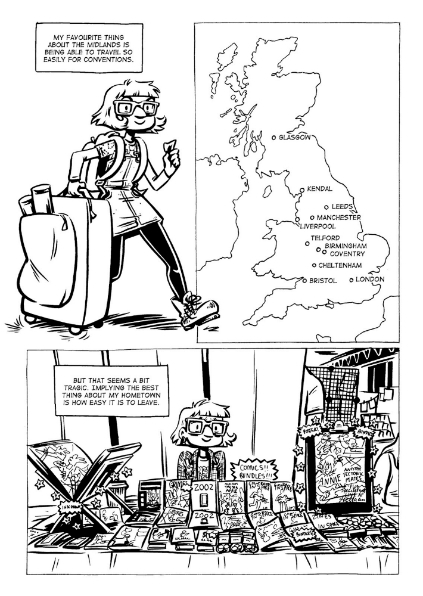 It’s also a book published by the Birmingham chapter of Laydeez do Comics, consisting of strips contributed by their membership in order to raise funds for the expenses of their guest speakers. A dual purpose, then, and a double hook for potential readers who get both an eclectic mix of short stories and the opportunity to support an extremely good cause in honour of the first anniversary of the LDC Brum group. 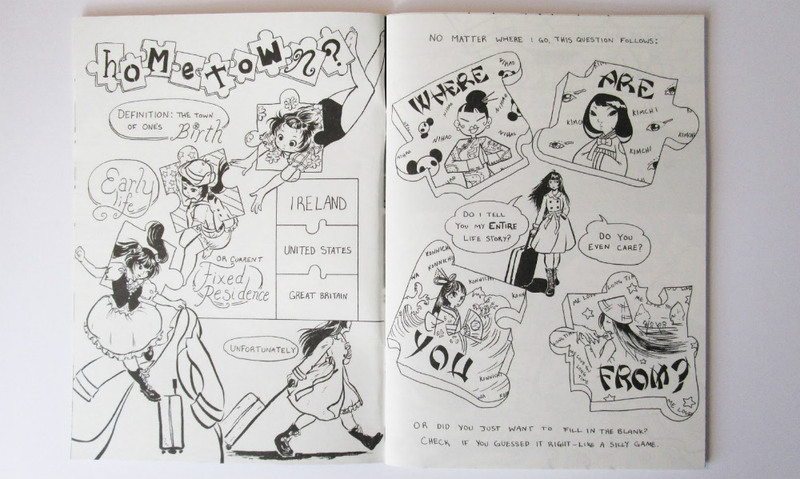 The artists involved have answered the starting point question of “How do you feel about your hometown?” in very different ways, ensuring a varied array of subject matter and perspectives on that inquisitive premise. Some of the creators herein are very familiar to me but there are those among their ranks whose work I have yet to cover in this column. 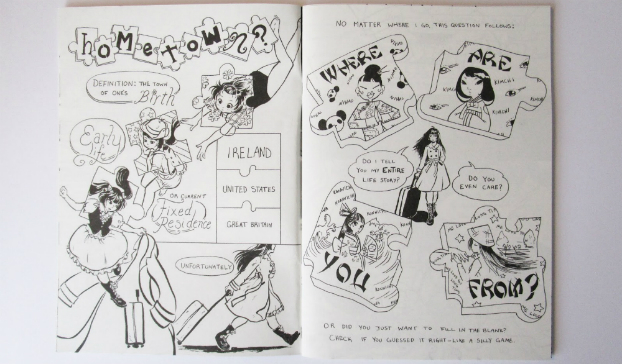 Yen Quach fits into that latter category and ably makes use of emotive visual metaphor to evoke a sense of splintered identity in her five-pager (see top banner image). While those visual devices are hardly original in construction they do add a notable resonance to her thoughts on belonging and dislocation. Edie Gein is another artist new to me who brings Birmingham to the forefront in a three-page offering that examines changing attitudes towards the Irish populace in the city after the pub bombings of 1974. The grim realism of her pages starkly reminding us that a sense of home is not just something we can possess but something that can be taken from us as well. 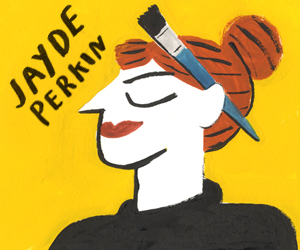 Back in January of this year when the London Laydeez do Comics group hosted our own Broken Frontier evening, Bryony Attenburrow (below) was the artist who captured the events of that night for posterity. 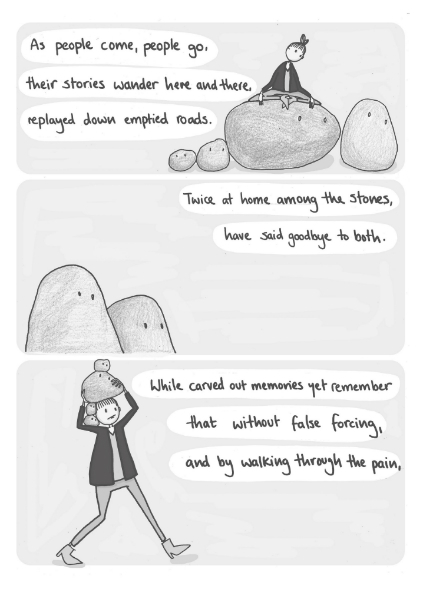 Her story ‘Stone Town’ is basic in layout but its lyrical contemplation of displacement is one of the highlights of the anthology. Al Davison gives us one of the book’s cleverest uses of the form in ‘Newcastle: 1979’ with his anecdotal piece on a bully getting their comeuppance being repeated across two pages in both local dialect and a “translated” version. A layered piece reminding us of all the things our regional identities are bound up in. 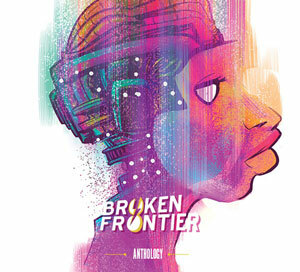 It will come as no surprise to those familiar with the work of cover artist Sammy Borras that music plays a large part in her wittily pragmatic piece (above) while Verity Hall (Like a Shark in a Swimming Pool) adds a very personal dimension to her story – environment and experience inextricably bound up in its pages. Final quick mentions for Mogs Russell’s adaptation of a German play that takes the comfort of one’s hometown and transforms it into chilling paranoia; Florence Okoye who provides a meditation on London that is oblique in its flow but somehow all the more personal for its indirectness; and editor Charlotte Bailey who gives us reflections on her childhood home of Sedgley that are endearingly reflective in presentation. 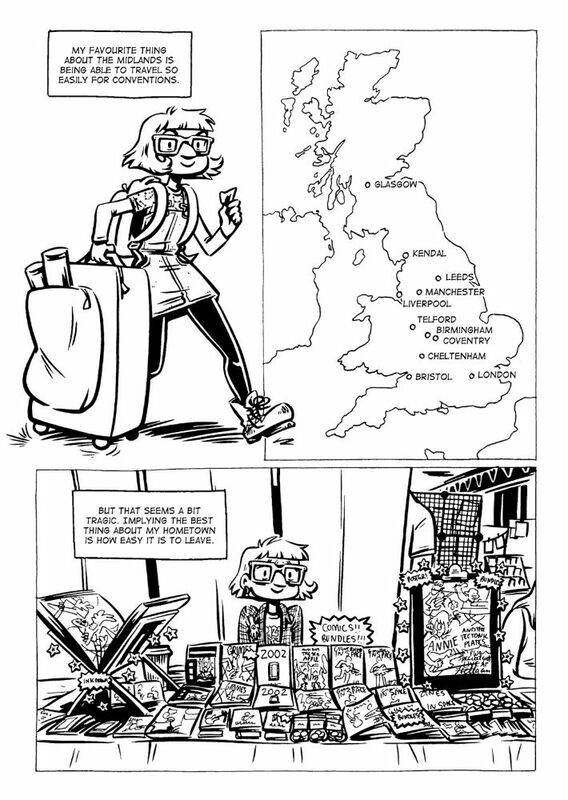 A comic about community to promote community in comics, Hometown is an amiable mix of newer creators and some older hands on the small press scene. And don’t forget that by supporting this book you are also supporting the excellent, inclusive work of Laydeez do Comics. Hometown: An Anthology is available here priced £5.99. You can follow Laydeez do Comics on Twitter here.